Dramatically improved operating efficiency and customer satisfaction, dramatically lower operating costs: these are just a few of the benefits TollPlus offers toll agencies. TollPlus’ toll road management systems provide the capability and flexibility to answer the unique, specific challenges and requirements that confront an agency. Our end-to-end solutions integrate image processing, transaction information management, billing/back office, and customer relationship management into a single, simple, seamless process. Functionality–simply, how well the product works–is the bottom line measurement for any tolling technology. Superior functionality is a hallmark of TollPlus products. As TollPlus customers around the world will tell you, our solutions meet and exceed every performance requirement, adding enormous value to their operations. Configurability is another TollPlus advantage. 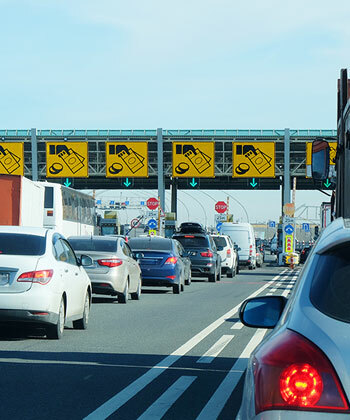 Our toll road management solutions are highly configurable in design, which allows us to deliver and implement them in far less time than our competitors. Our solutions are also readily scalable and interoperable, so information can be communicated and exchanged with partner organizations without the need for uniform technology, costly custom software, or abandoning legacy systems. Security and revenue loss prevention are key issues for every agency, and TollPlus solves these problems with proprietary access, monitoring, and data recovery technology. Leaks and losses are virtually eliminated through the use of our systems. Technology-driven, with an unsurpassed combination of transaction and toll management expertise, TollPlus has everything needed to help equip an agency to meet both current and future demands.